One view on lead and mercury as metaphors in meditation. The origin of golden elixir.”- Li Daochun, classic of the middle harmony. “Real lead and real mercury are the body and mind.” – Li Daochun. 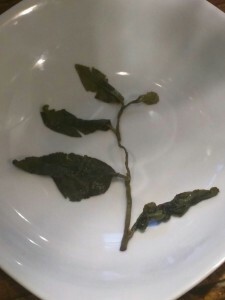 New organic jade Oolong from Sanjing farms coming soon. Check out that leaf!!! 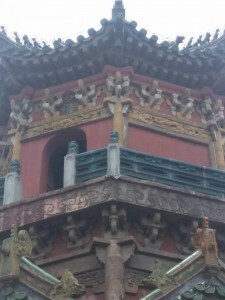 The house Wang Chongyang built. Usually when one becomes a hermit, they muat first build a hut. Abandoning oneself in the hut, one body reliant on itself. The body reliant on itself gradually attains a quiet mind. The qi and spirit mix harmoniously and enter the real dao. -wang chongyang. Arrogance and egotism are inevitable features of being a person in society. These views come part in parcel with our ongoing evaluation of ourselves in relation to others. It is important to recognize that as long as we interact with other people, we will always to some degree require validation of our views and behaviours. There are almost no people who genuinely do not care what other people think of them, but this only becomes a problem when we care so much that we assume ourselves to be better than other people. Arrogance can occur for many reasons, but usually it is based on pride and our desire to have some special defining characteristic that gives us social status. Does this occur naturally, or as a result of perversion of our nature? being rich, powerful, and arrogant is a punishment in itself. This passage is a good explanation of how we can contextualize our own importance in the world and why it is not permanent. Even if you are very rich, it is always possible to lose that money and the status that comes with it. Not even a bank account or safety deposit box can protect your riches in an absolute sense, and it is always possible that the economy could take a bad turn, or that someone could steal your savings. There is no physical object which can be saved, not even our own bodies. If we understand that all physical items are transitive, then we have no reason to be proud of our riches, our skill, or any other item that we own or represent. If, on the other hand, we choose to treat our wealth, our status, and other things as a reason to be proud and arrogant, we ultimately set ourselves up for a negative surprise when suddenly something causes us to lose that status. “why are favour and disgrace both to be feared? – Laozi Dao De Jing, Chapter 12. This passage of the Dao De Jing is hugely important and complex when considered from the perspective the five elements and the body, mind, and world. consciousness, yang spirit, intention, will, yin spirit. difficult to obtain items, makes people’s movement hindered. We can see that Laozi is discussing an early version of what would ultimately become the theory of how the five elements relate to the sensory organs, the mind, and meditation. I teach a course on this topic and if you have found this post interesting, please feel free to contact me about it. the most excellent Daoist priest drunk in the flowing red clouds. this happiness is without end. A tree borne cicada seems to be singing from from the distant slope. Henan is the centre most province of China and is the key intersection of North and South, East and West, as well as a key point along the path of the yellow river and one of the most important historical and cultural areas of China as a whole. As a result, Henan has a great deal of accumulated cultural history which in modern times presents itself most conspicuously through the arts. Whether it is traditional water painting, calligraphy, opera, martial arts, or pottery (which we are discussing in this article), Henan still maintains a very strong relationship with its cultural history and is one of the last provinces to be touched by Chinese artistic modernity, which borrows heavily from modern Japanese, Taiwanese and Korean art aesthetics. Being that genuine Henan culture still exists in many places in a fairly pure form, it is important to catalogue what is genuine to Henan before it begins to gradually disappear and be replaced by neo-Chinese arts and culture (oddly, I have seen the beginning of this process taking form in the pottery world there within the last year or so and so now is really the best time for anyone interested in traditional Chinese culture to go to Henan and research before it all goes away). Pottery in China has a long history and is often believed to go back at least 20,000 years, but the high era of Chinese ceramics occurred between the Tang and Song dynasties between 700-1200 AD or so. Tang porcelain is characterized by the gorgeous light blue, shiny porcelain commonly made in Jingdezhen in jiangxi province, but Song porcelain is represented by many diverse and special traditions. 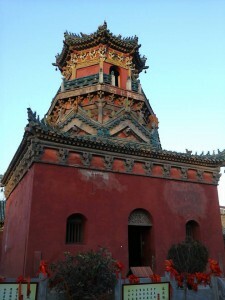 The Song dynasty was split into two major eras, Northern and Southern, with the Northern Song period taking place mainly in the city of Dong Jing (modern day Kaifeng). Dong Jing (eastern Capital) was the home of one of the most influential Chinese empires ever to exist and also gave birth to two unique and valuable styles of porcelain. 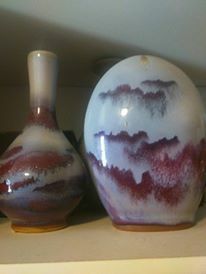 many other kilns, but yuzhou still produces the most authentic Junci available. The other famous style of porcelain from Henan is called Guanci, which is much more rare. While Junci was originally the type of porcelain enjoyed by wealthy families during the Northern Song dynasty, Guangci was kept back specifically for the emperor’s family. As such, the number of people who know how to make Guanci is very small and in modern Henan, almost non existent. After the invasion of the Manchurian armies and subsequent replacement of the Northern Song dynasty by the Jin dynasty, the Song moved to Hangzhou, Zhejiang province and began to produce pottery there in the Southern Song period. 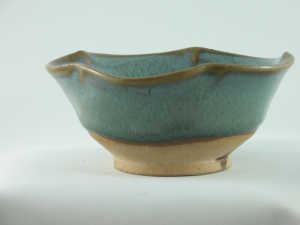 The porcelain made in the Longchuan kiln of Zhejiang is very similar to Guanci, but its overall quality and beauty is not comparable, since the traditional clay used to make Guanci is all located in Henan. Nonetheless, the Longchuan kiln produces the vast majority of modern day Guanci and as one of the best traditional kilns carrying ancient dynastic pottery today. Regardless of what type of porcelain you like, it is of great value to take a trip to Henan to look at the traditional and largely family lineage produced porcelain in order to see something about an ancient culture that is still alive today in China. Less than two months to go folks!! The first ever tea festival at Royal Botanical Gardens Hamilton. We have 20+ vendors selling tea, tea wares, Taiwanese food (yum!!!) and much much more. There will be demonstrations of Cha Dao tea ceremony by Tea Master Madeline Chang of Taizhong Taiwan. Chayo Tea Friends has a booth and so do so many other cool vendors and exhibitors. Door tickets are $5 so it is a really good tea for a day of tea awesomeness. 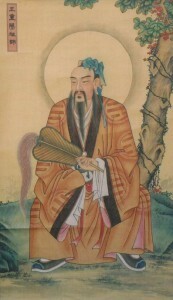 Wang Chongyang, founder of the quanzhen school of Daoism. This method is from Wang Chongyang’s Ten Discussions” a yuan dynasty meditation document from the quanzhen school. Wang believed that people should meditate at all times regardless of whether they were sitting, standing, walking, or lying down. The basic of his method is in harmonizing the mind with the breath and achieving clarity of mind. This is a good example of the basic practice of “xing gong” or consciousness work in Daoism. Awakening from deep sleep in the mountain top temple in spring. Thoughts slowly stream as the tiger runs along the bank of the fountainhead. Alone, the monk grinds clouds of winsome tea. I collect a few dried branches of the fallen pine tree. this frost makes my old home seem a wild place. I don’t even envy the crane dipping his neck in the water from the platform. mountain temple way of the utmost affection. quietly taking measure of these surroundings. the tea’s good scent returns heavily. obscuring the heart, sitting in green moss.